The air may seem a little musty around the Bulls these days, the temperature rising. The heat is on. It’s playoff time, sure, the Bulls opening their 2015 NBA playoffs in the United Center 6 p.m. Saturday against the Milwaukee Bucks. But the metaphorical window may also be closing, still open just a crack now it seems for a team that was a cooling breath of fresh air and facing blue skies four years ago. Then it was a Bulls team with mostly hope and promise, seemingly headed to the league’s stratosphere with the some of the brightest and significant young talent in the game. But that window of opportunity that seemed wide open just a few years ago now seems to be letting in just a crack of light and hope with injury and hardship both unexpected and almost unprecedented. Can the Bulls pry it back open and begin flight again toward what they believed was their destiny? The journey begins Saturday. Though the thought is occasionally there, a dark cloud of, if not regret, of wonder hovers above this team. Everyone experiences those thoughts in life; if they were just a little more fortunate. That was first in the 2011 playoffs, two years removed from one of the best playoff series in NBA history, a seven-game thriller with multiple overtime games against the former champion Boston Celtics that was also Derrick Rose’s coming out party, breaking Kareem Abdul-Jabbar’s rookie playoff scoring record in the Game 1 road win. Rose would then average almost 27 points per game, though the Bulls were dispatched by their obstacle, LeBron James. But the kid was emerging as a counter. Then came the new coach, the savvy and driven Tom Thibodeau, and a magnificent season with Rose and Thibodeau and defense and the bench leading the way to 62 wins and a tough conference finals defeat by the glamour Miami Heat. It was the next progression. They were on the precipice of success. The Bulls would demonstrate that with aplomb in the 2011-12 regular season that saw the Heat players resorting to goon tactics to salvage a last regular season win over the Bulls. Was it their time? But then came Rose’s devastating injury in Game 1 of the 2012 playoffs. And nothing has been the same despite tenacious and valiant efforts in subsequent playoffs. Now Rose is back, if not perfect, though Thibodeau Friday said he’s ready to go after sitting out the second half of Wednesday’s finale. The front line size and rebounding the Bulls still enjoyed in 2012 with Omer Asik off the bench is back with the additions of Pau Gasol and Nikola Mirotic. Jimmy Butler has emerged as the complementary scorer the Bulls didn’t have. They are as healthy and deep as anytime since the start of those 2012 playoffs. Is it their time again? And if not, how much longer do they have? Those will be some of the uncomfortable questions the Bulls must answer as these 2015 playoffs unfold. “Whoever we have, get out there and get the job done,” Thibodeau said after practice Friday, repeating a mantra he’s offered much during the last three years. “Basically, that’s the way we approached it during the regular season. We’ve had a lot of different groups. The challenge is when we have everybody is everyone getting on the same page as quickly as possible. We’re hopeful that people are healthy. Obviously we know (Rose’s) been through a lot and it’s good he’s been able to play. And obviously when he’s on the floor it makes us a much different team. And so to the details. Thibodeau said Rose and Noah are doing well and should play about what they have in the games they played late in the season, about 25 to 30 minutes. Gibson took a cortisone shot at halftime Wednesday and said he’ll be fine. Gibson always says that. That’s what’s been so disappointing for this Bulls group. They like one another; they play for one another. Their effort never is questioned. They just weren’t able to answer the bell often enough because their bodies were going down for the count. But they seem about as healthy now as they have been all season with the exception of Kirk Hinrich, who is doubtful but presumably would play before the series is over. 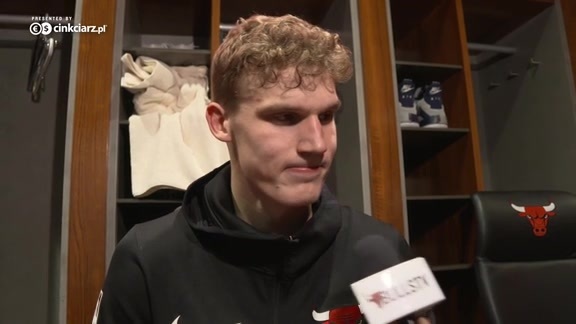 It looks like a walkover series for the Bulls with the Bucks a .500 team with the league’s biggest turnaround, an offense with some holes and a team actually made over during the season. Three of the five Bucks starters from when the teams first met in November don’t play, two no longer even with the team. But there’s no looking ahead for these Bulls. They allowed themselves a peek a few years back, and the ended up missing a step and falling flat. They’ve picked themselves back up and are just trying to pry back open that window and let in some fresh promise once again. “We expect a lot of them,” Mike Dunleavy said about Milwaukee. “Nobody expected anything from them all year long, had the worst record in the league last year. But here they are, sixth seed in the East. We’re prepared for a battle. They’re young, energetic, well coached. There’s some athletic guys, long guys that they put in different spots on the court and certainly stretch the floor with power forwards that shoot. They present a lot of problems. They don’t run a ton of plays. They get into a series and play out of that. So it’s difficult to guard. We’ll have our hands full. It’s going to be a challenge. So we’ll see where we’re at. I’m sure they’re confident after their victory (in April). I’m sure they think they know how to beat us. So we’re going to have to rebound the ball well, shoot the ball well and take care of it. We need to get off to a good start in Game 1. No more looking ahead or looking back. Nothing is guaranteed or promised but your experience. You never know what fate has for you.